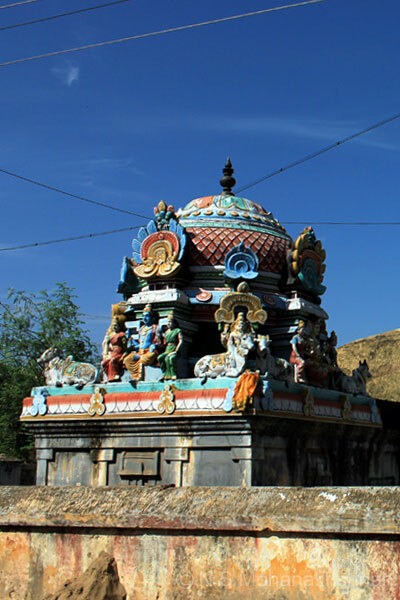 Sugreeva (the monkey king of Ramayana) is believed to have worshiped Lord Shiva in this place. 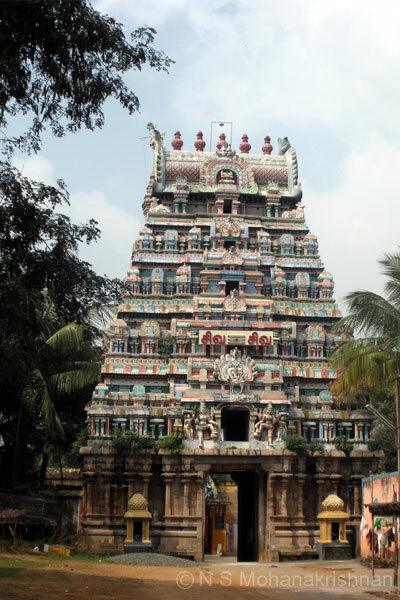 Lord Vishnu is believed to have worshiped Lord Shiva here and received his Chakra weapon here. 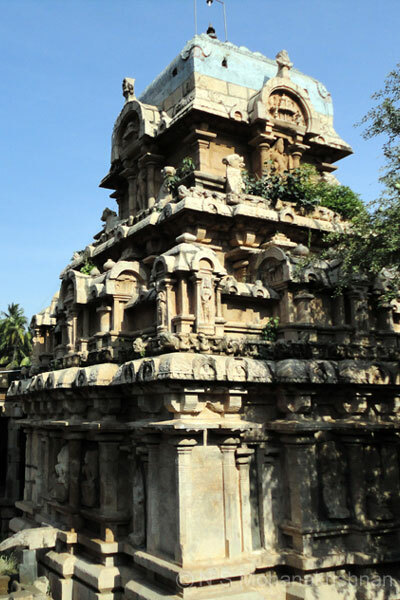 Inscriptions from the Chola and Vijayanagar periods are found in this temple. 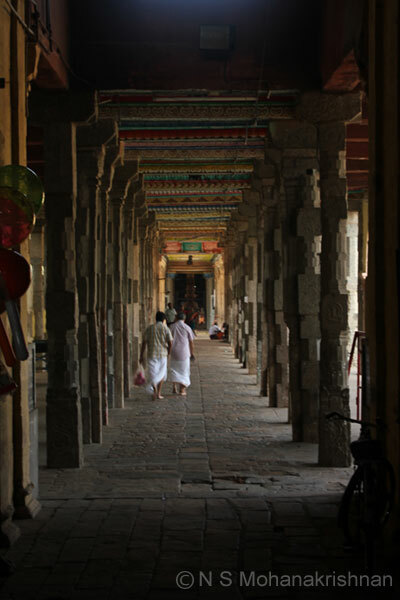 The lord is believed to have instructed the 5 Nandi’s here to move aside a bit so that he could have the pleasure of seeing Thirugnanasambandar coming in. 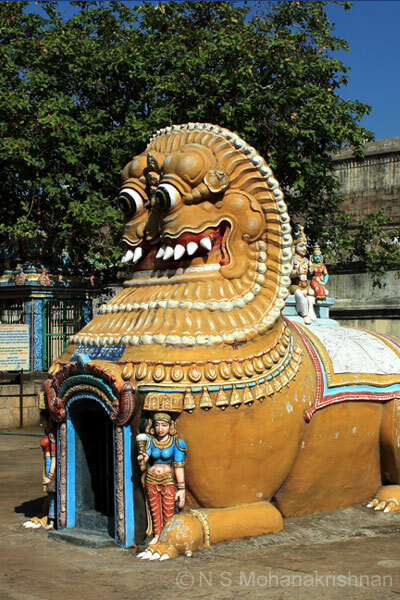 The main deity here is slightly below the ground and you have to get down 4 steps to view. 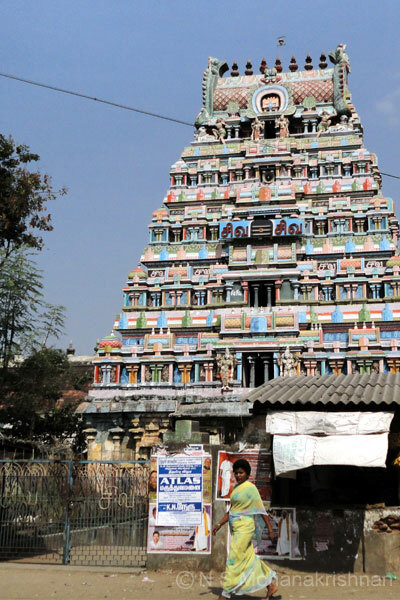 All the Navagraha idols face the Sun God here against normal tradition. 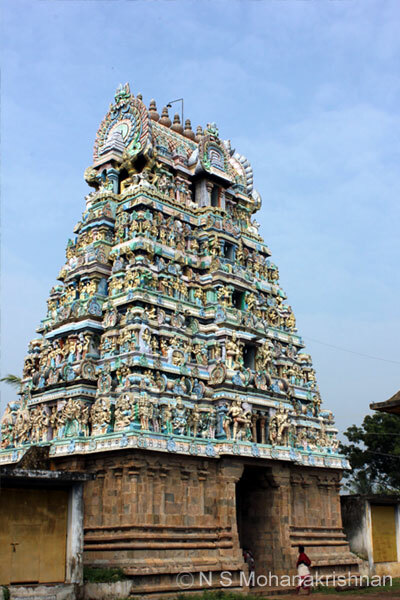 It is mentioned by Thirugnanasambandar that the area was populated by Budhdhists (Saakkiyar) in olden days. 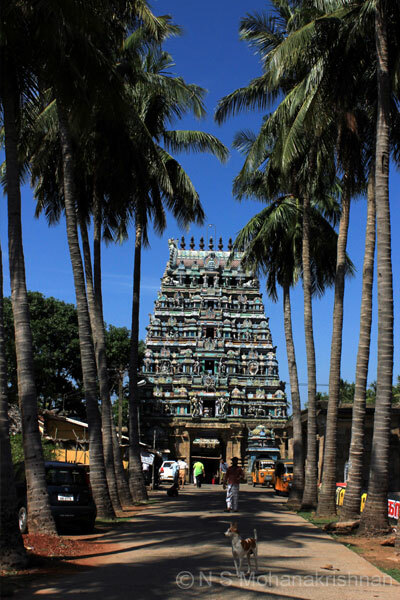 Hence the name Saakkiyar Kottai, now Saakkottai. 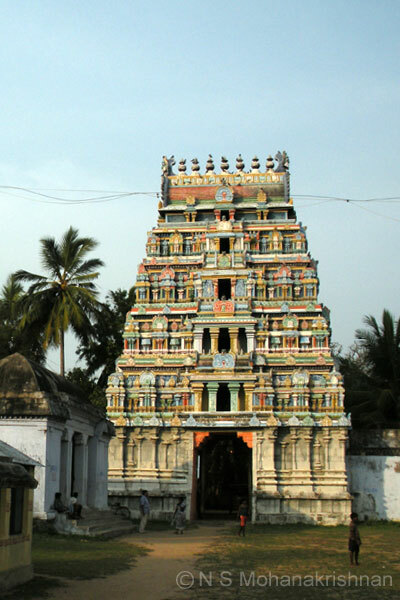 The Rajaguru Brahaspathi is believed to have attained his powers by worshiping the Lord here. 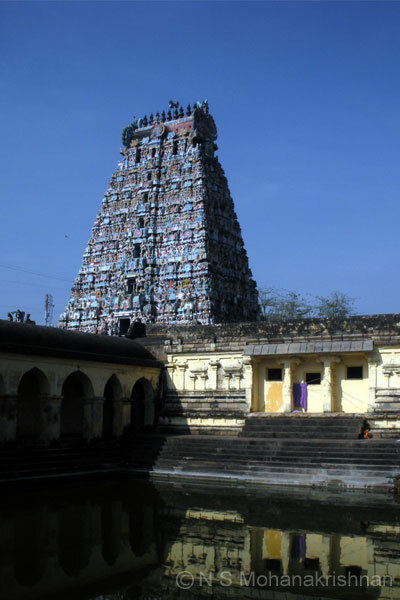 Tiruneithaanam is one of the 7 temples which are part of the Thiruvaiyaru group and participate in some festivals together including Sapthasthanam. 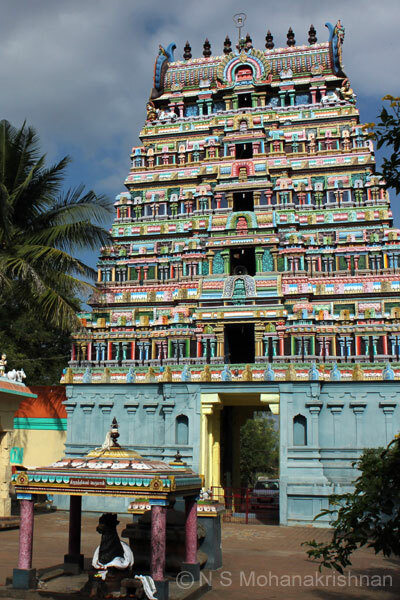 A conical 36 ft tall granary constructed here by the Nayak Rulers between 1600 and 1634 CE capable of holding about 775000 litres of content indicates the volume of grain contributions to the temple in ancient times. The goddess is believed to have embraced and kissed the Lord. Thus the name Thiru Sakthi Mutham. 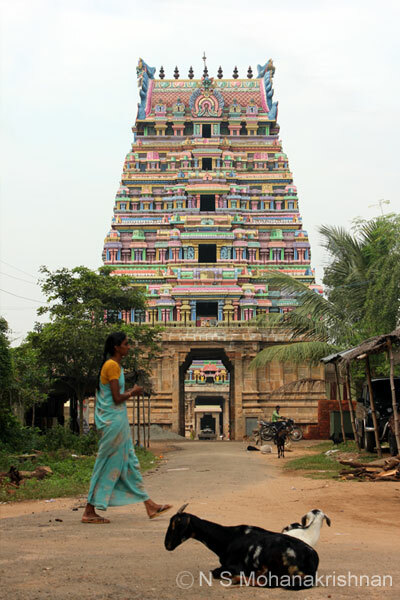 A very large temple with 5 tier Rajagopuram at the eastern entrance and other entrances. Huge courtyards and mantapas are to be seen. 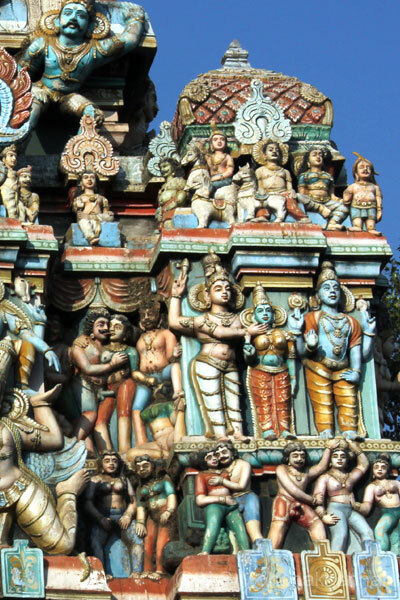 This temple is famous for its sculptural wealth of deities. 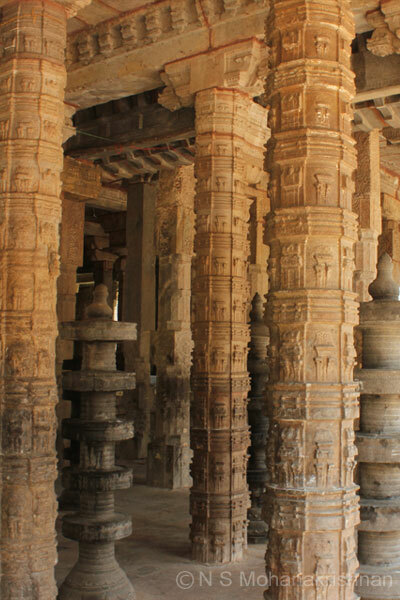 Apart from these the splendor extends to the mantapas and pillars. 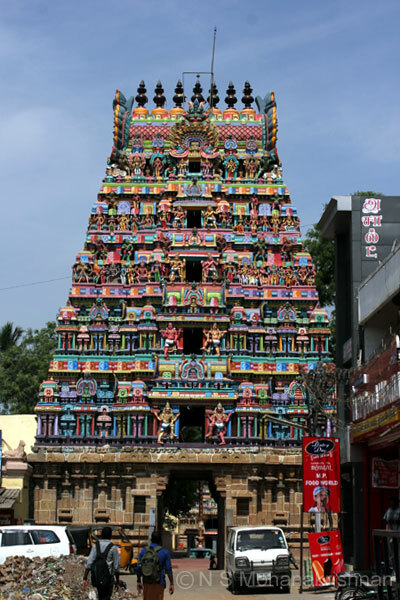 Thirukarukkudi is a small east facing temple. 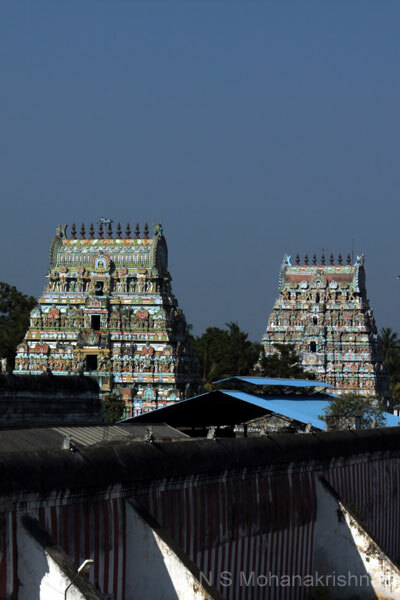 A similar mythology as Rameswaram exists here also. 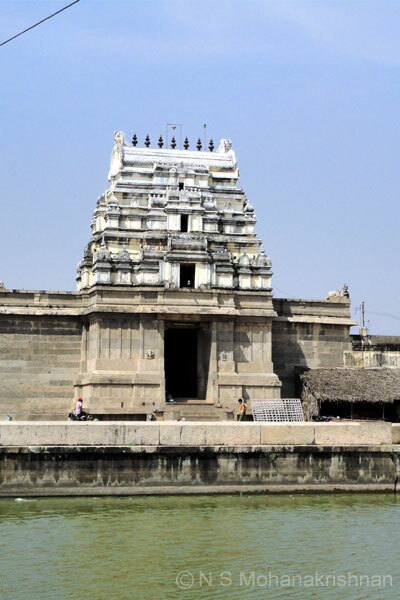 This is a small temple located in a remote part on the banks of the Kollidam river and was completely submerged in the floods of 1924. When ritually bathed with milk the Idol of Rahu turns blue over the idol and again to white when reaching the base. 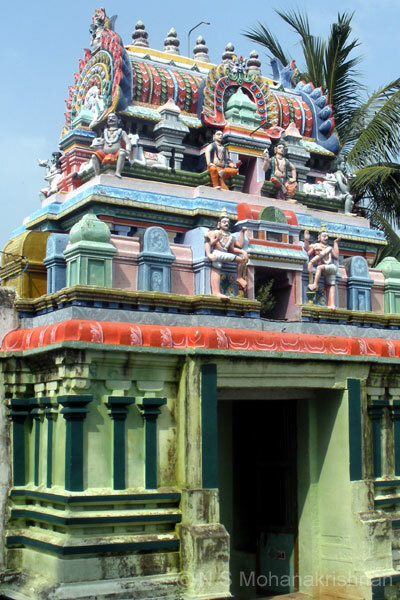 The Lingam which is supposed to have bent itself to a devotee called Thadagai, and later straightened by Kungiliakalaya Nayanar. 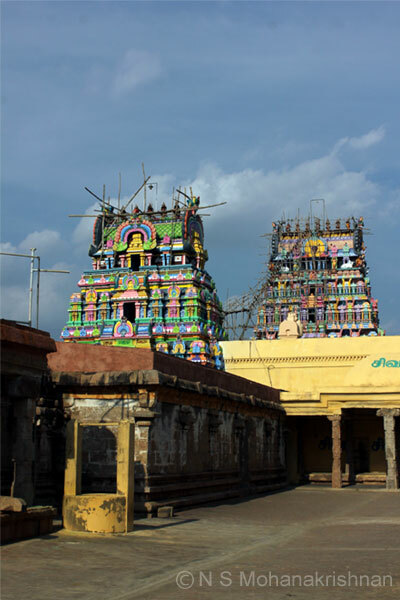 Thirupazhanam is one of the 7 temples of the Thiruvaiyaru group and participate in some festivals together including Sapthasthanam. 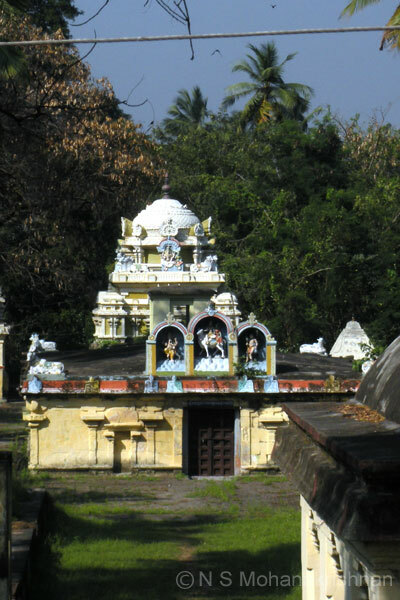 Raja Raja Chozhan was a staunch devotee of the Kali here and always prayed to her before setting out on war or when faced with making important decisions. 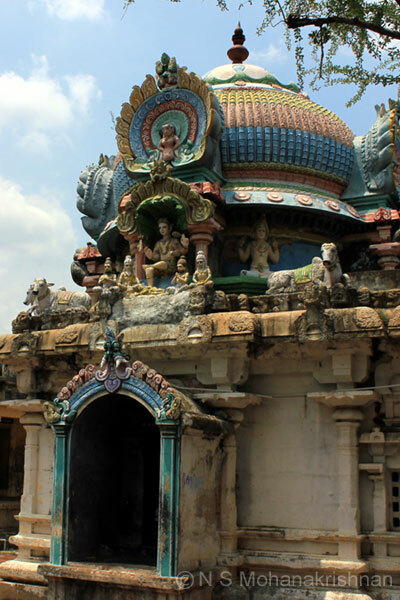 Vali, the Monkey King (of Ramayana) and a Sparrow are believed to have worshiped the Lord here. 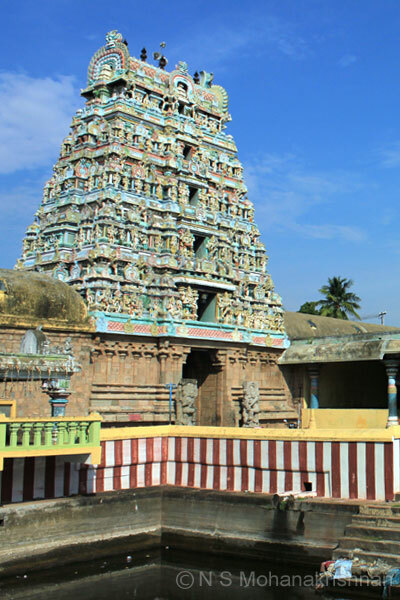 The great ‘Battle of Thirupurambayam’ happened here (c 879 CE) in which the Pallavas defeated the Pandyas. 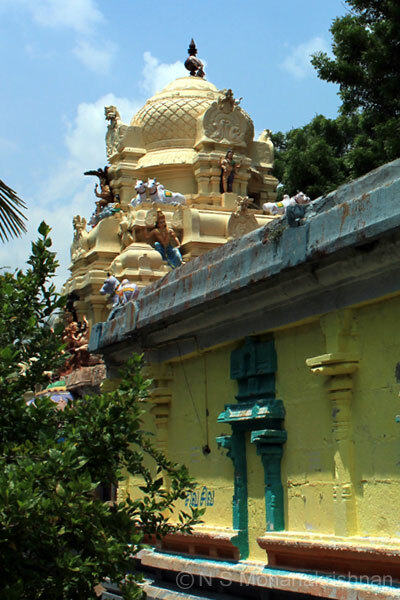 Lord Shiva is believed to have smashed the pot containing Amrut (Ambrosia) and the seeds for the recreation of the world which is said to have come to rest here. 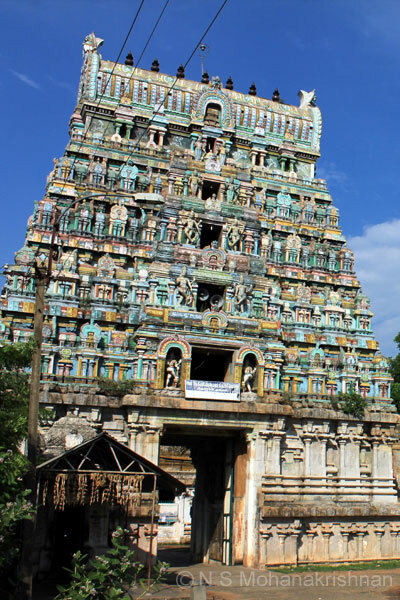 This temple is believed to be older than many other temples in the area including Thirunageswaram. 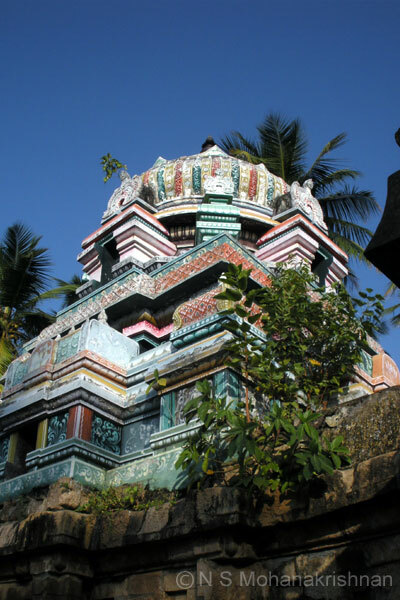 The Lingam here is very small, made of mud and the large base (Aavudayar) is made of stone. 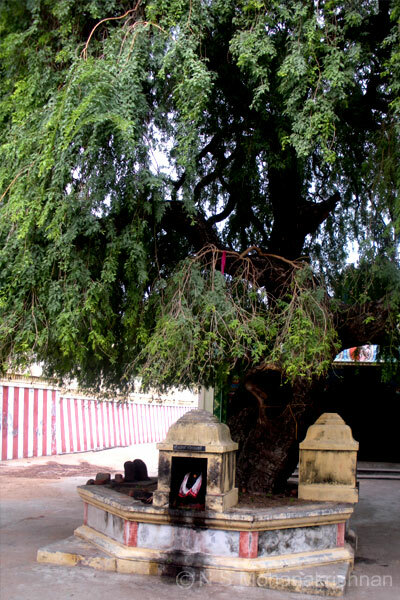 It is believed that the hanger which had the pot of Amrut miraculously turned into a Shiva Lingam here. 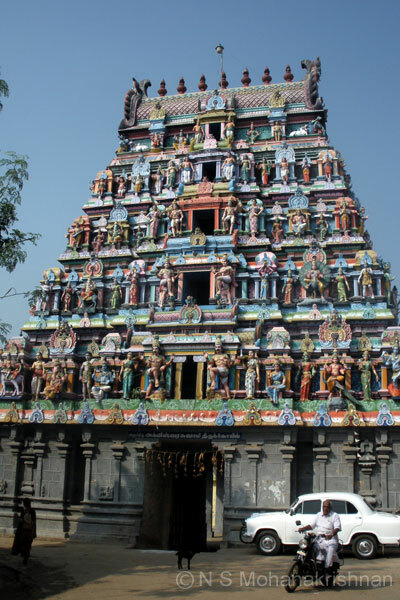 Thirugnanasambandar and Sundarar have visited and sung hymns in praise of the lord here. The temple in the news in 1960’s and 70’s because of an idol theft that happened here due to the cunning work of a sculptor.